As a Navy Viet Nam vet I encourage all who can afford to do so to support the Wounded Warrior Project...so many come home missing limbs and hope, and we are still losing our recent returnees to hopelessness, depression, and suicide in unprecedented numbers. WWP is a great cause and works to rehabilitate the bodies and minds of those who voluntarily served to defend our nation from the predators who seek to subjugate it under the heel of a ghastly ideology. 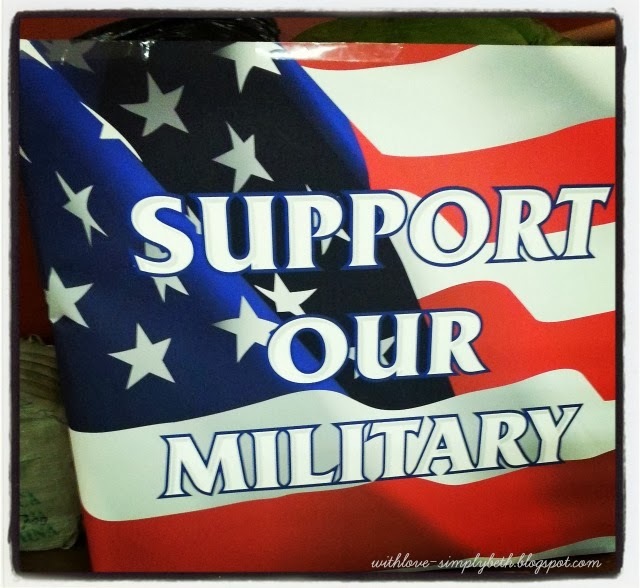 Stand strong with our military and our vets, please! I totally agree with your post, uncleteddy. My husband is a Navy vet, as is his brother ... all my uncles served in WWII ... I have cousins who served, etc. 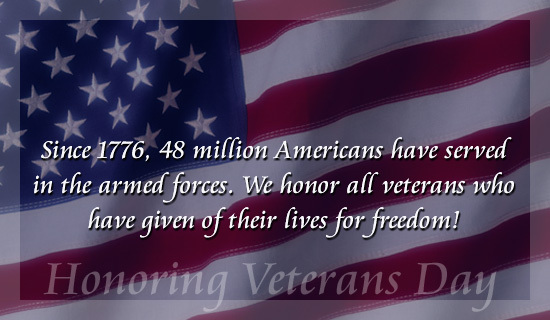 Military service runs strong among my family and many of my friends. Our vets, and our serving military, deserve all our love, support and respect, in my opinion. And there are so many ways to support them. We donate what we can -- money, items requested, time, and even company for those at a VA hospital are all so appreciated. 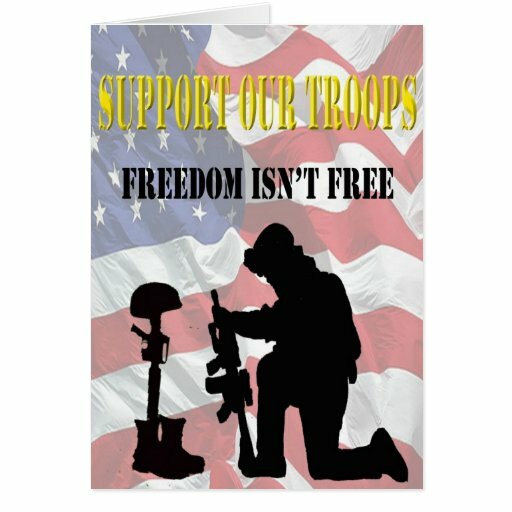 It is such a small contribution given what our military does for us. God bless them and our great country. 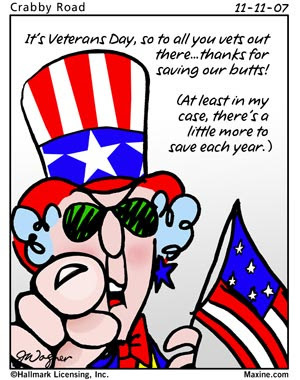 I don't think he'd mind a bit that I'm posting this for our veterans.